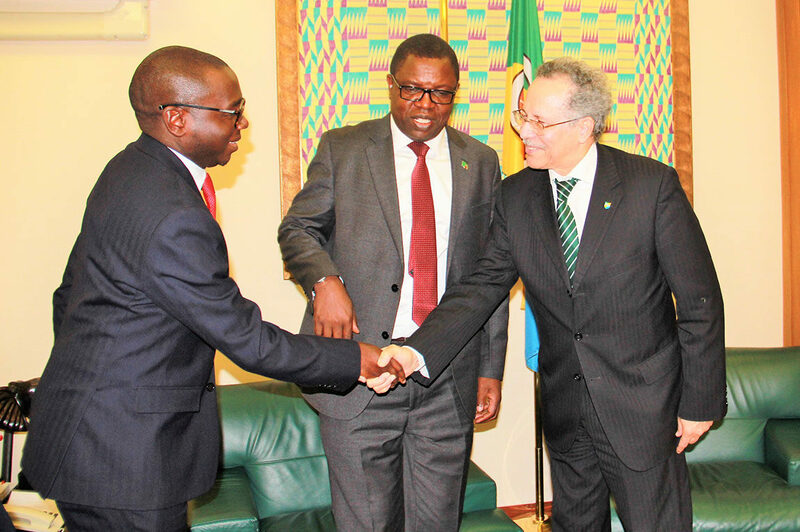 The African Caribbean and Pacific (ACP) Group of states has praised the Zambian government’s efforts and commitment to ensuring that the country’s mining sector thrives and brings in the expected development to the country. ACP Secretary General Dr Patrick Gomes says he was particularly impressed with the organisation of the International Conference on Artisanal and Small-Scale Mining and Quarrying held in Livingstone in September this year convened by the ACP in partnership with the EU and UNDP. Dr Gomes says he is hopeful that the country’s mineral resources will bring the expected results further adding that Artisanal and Small-Scale Mining (ASM) is emerging as an important socio-economic sector in many developing nations. The Secretary General made remarks in Brussels when he hosted Minister of Foreign Affairs, Hon. Joseph Malanji, MP his Permanent Secretary for International Relations and Cooperation Amb. 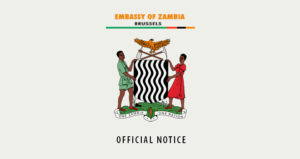 Chalwe Lombe, Charge d’ Affairs of the Zambia Embassy Mr Henry Ngilazi and other senior government officials. And Mr. Malanji says government is committed to programmes of diversifying the country’s economy as outlined in the Seventh National Development Plan – 7NDP. The Minister says government has lined up various activities and stands ready to engage collaborating partners in order to achieve the intended purpose. He named some of the priority areas that government has identified for the economy’s diversification as energy, agriculture, tourism, infrastructure as well as value addition. “Mining has always been like the cutlery of the country however the government is in the process of diversifying the economy in order to try and explore other sectors that can contribute to the development of the country. In fact if you look at the 7NDP which is being used as the blueprint for this, within the country we are now trying to have as many investment expos with the aim of exploring potential and have a touch in every avenue of our economic resource’, Mr Malanji said. Mr Malanji further reaffirmed Zambia’s commitment to its membership to the African Caribbean and Pacific Group (ACP) and its objectives. The Minister reiterated to the ACP Secretary General that the Zambian Government would continue working with the ACP and its support to the Secretary General’s office during his tenure as Secretary General including through the Mission in Brussels as well as the various Zambian experts currently working at the ACP. He explained that Zambia holds its membership to the ACP as important as consistently demonstrated with reference to the its hosting of the International Conference on Artisanal and Small-Scale Mining and Quarrying organised by the ACP.